If you are looking to maximize your fat burning, energy, muscle building, or simply your over-all well-being, eating properly to get your day off is vital and must be considered a priority. You simply cannot expect your body to operate without a tank of gas (the energy from your foods) any more than your auto would drive without gas. Let’s face it, today’s modern world demands a lot of us during the day…mostly mental (the physical we should be addressing also with a proper exercise routine) and if we are not fueling in the morning when our day officially begins, how can we expect that we will experience the “high energy” level that will be needed for hours to come? It’s a sad truth that millions of people operate by grabbing a cup of coffee on the way out the door and supplement it with sugar from the vending machine when their mid-morning energy level tanks. The truth is, those that take the time to eat breakfast perform better throughout the day and as a bonus they also control their hunger better and have the ability to make better food choices. If you are not eating well to start your day it can likely lead to overeating at night when your body does not need the energy. Those that starve themselves when their body is demanding energy and eat when theie4r bodies don’t need the energy are likely to convert this excess to body fat stores which ultimately end up as body weight gain. Your morning meal must be considered your most important meal of the day and should also be your biggest containing all three macronutrients, proteins, carbs and healthy fats. The old saying “eat breakfast like a king and dinner like a pauper” needs to be your new mantra. It’s important to focus on getting complex carbohydrates first thing in the morning and avoid taking in huge hits of sugary or simple carbs that will cause higher blood glucose levels. Enjoying a green smoothie first thing in the morning helps most people get in their required veggies on a day to day basis. When you give your body greens first thing in the morning, you are giving it a huge boost of energy for the day. 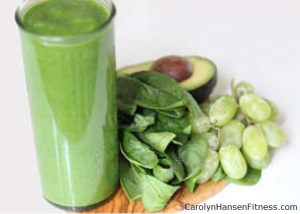 Green shakes are your key to long-lasting real energy that will do your body good for many hours. First you need to select the basis for your shake…your protein. Whey protein powder is an excellent way to get a good dose of lean protein in while enhancing your immune system. For those of you that experience lactose intolerance or you are on a strict no-dairy diet, opt for some egg-white protein or hemp protein instead. Next step is to add fiber…or your greens. These can come from any sort of green vegetable you prefer. Kale, spinach and or cucumbers are all great choices…however you can use broccoli or any other green vegetable that sounds good to you. To change it up you can add non-green veggies like cauliflower, carrots and celery. Add fresh fruit, at least a bit to sweeten up the taste of your smoothie. Try different combinations daily so you don’t get bored. 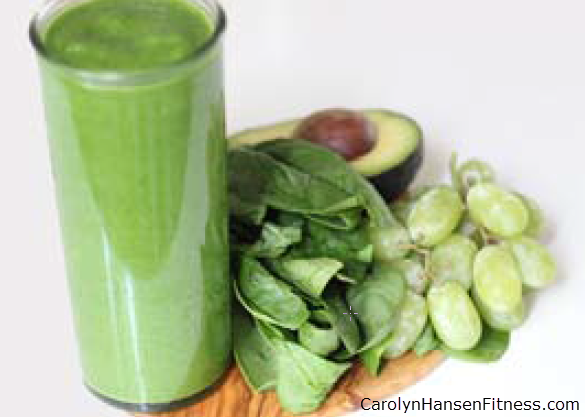 Add some fat if you are using your smoothies as your entire breakfast meal. These healthy fats can include slivered nuts or almonds, ground flaxseed, Chia seeds, coconut mild, dried unsweetened coconut flakes, ½ avocado and natural nut butters. Remember when adding your fat that it can be very calorie dense so don’t add more of it than you need or it can lead to unwanted weight gain. The last step is to add ice and water and blend it up. If you prefer a thicker frothier like shake add more ice cubes…if you like it thinner, add more water. For those of you that like a creamy shake you can add unsweetened almond mild rather than water. So start your day off with one of these and you can feel good about getting your day off properly as you should. If you are failing to achieve your health and fitness objectives, then part of the problem may be that you are OVER-COMPLICATING your plan of action. Let me help you get back on track. with my “Minimalist Exercise and Nutrition” program.